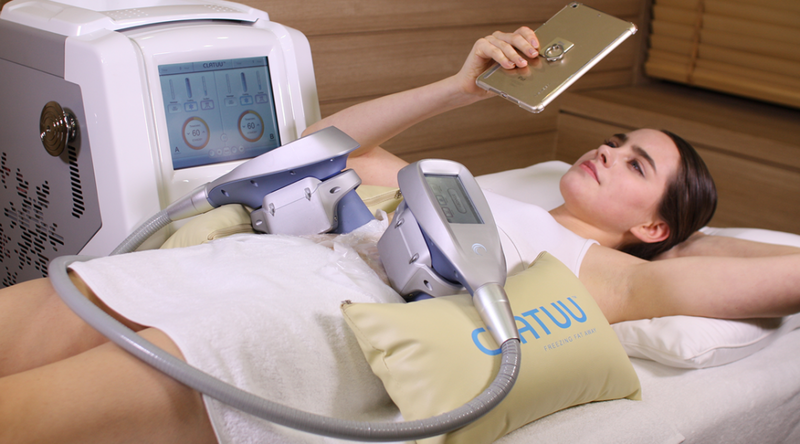 CLATUU is a state-of-the-art non-invasion fat freezing technology that uses 360o surround cooling method. CLATUU is a non-invasive fat freezing treatment, which does not require surgery, and does not incur downtime. The treatments provide natural body shaping and contouring. The body will have a natural-looking and contoured appearance without having gone under the knife. With the world’s first patented 360° cooling applicators, CLATUU provides faster and more effective fat reduction treatment. With powerful cooling up to –9 ºC and 50 Kpa suction, its Dual Handpiece system is more efficient and effective than Single Handpiece devices which can treat only one side at a time. Its use-friendly system will lead to effective and noticeable results. The built-in safety sensors maintain a constant temperature to prevent unwanted side effects. CLATUU treatments do not require surgery and anaesthesia. Usually, only minimal downtime and minimum discomfort is experienced. You can expect to return to your normal routine immediately after your treatment. 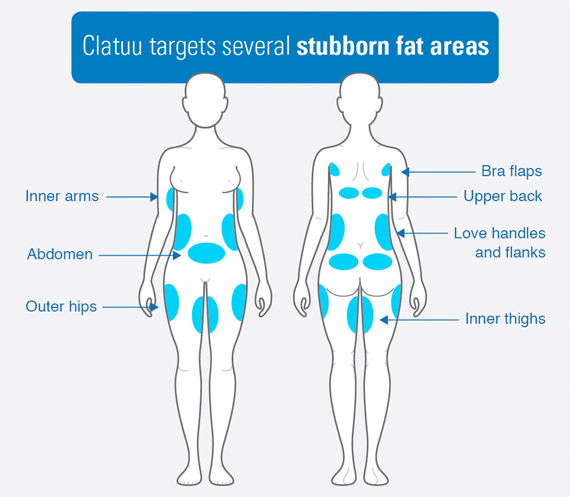 CLATUU functions by gently drawing fatty areas into the patented 360° applicators, where powerful suction holds the fat layer while the treatment area is exposed to cooling energy. The sophisticated cooling energy is delivered directly into the targeted fat deposits without disturbing the skin and other body tissues. The selected area will be cooled to a low temperature, where the body’s natural ‘apoptosis’ processes are activated. The built-in safety sensors maintain a constant temperature. This prevents unwanted side effects. The CLATUU procedure crystallizes fat cells, which are then eliminated through natural metabolism. 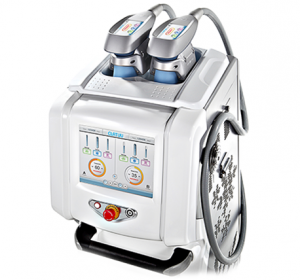 This advanced cooling technology is called Cryolipolysis, and it freezes fats at –9 ºC for 1 hour per session. The damaged fat cells are eventually collected and removed by the body’s natural processes.Candidates experience noticeable and measurable changes in the targeted area. The end result is that fat deposits will shrink significantly in size, but the skin and the surrounding tissue will not be affected.A difference can be noticed around 4-6 weeks after your first treatment. The result will continuously improve for the next 3 months. To maximise the results, candidates should follow a healthy lifestyle, sensible diet and a good exercise regime. Who is CLATUU treatment suitable for? A candidate with problematic areas of stubborn fat that will not disappear, even with regular diet and exercise, and whose Body Mass Index (BMI) is mildly above ideal, is a suitable candidate for CLATUU. Usually, the problematic areas are fat bulges such as muffin tops, love handles, fat deposits on the abdomen, upper arms, inner arms, inner thighs, back bulges, outer hips, and others. Nonetheless, please note that CLATUU Freezing Fat Away is not a weight loss treatment. It does not replace the benefits of proper diet and exercise, and it does not treat obesity. Patients who have had CLATUU treatments should practise an exercise and healthy diet programme after their treatment to take full advantage of the treatment benefits. Speak to our friendly doctors to find out more about Premier Clinic’s weight loss program! Discover our latest aesthetic packages by clicking the button below!